“This is the first year we have performed a play including a cast all the way from the Year 7s in Portland to the Upper Sixth A play with such iconic numbers as ‘Food Glorious Food’ and ‘Consider Yourself’ was difficult to bring together within the space of a term but we all pulled through to produce three incredible performances before the end of February half-term. With such a large play comes a large principal cast, which featured students of all ages. For most of these students, it was their first performance as main characters at the College. Mentions must go to Emma Tonge (Bett), Grace O’Reilly (Noah) and Nicole Renton (Charlotte and Mrs. Bedwin), all performing with speaking parts in the play. The roles of Mr and Mrs Sowerberry were undertaken by James Payne and Grace Sanders. This is also James’ last year performing at Worksop after four years of dedication to the drama department. A slight re-casting saw Ruben Dales playing Mr. Bumble with Widow Corney being portrayed by Emily Zehetmayr, who made the cast, and the audience, laugh with their comical performance of the song ‘I shall scream’ – you couldn’t imagine a better duo. Helen Baddiley, concluding her time performing at Worksop, played Nancy giving us a heartfelt performance of ‘As long as he needs me’. Her ‘Partner in Crime’, Bill Sikes, was doubled by two other members of the Upper Sixth Form (Josh Porter and Joe McConville) on alternating nights, who each commanded the stage. The widely known ‘Fagin’ was played by Dom Leach with such astounding control of the character that made us follow Fagin on his emotional journey throughout the play. Oliver and The Artful Dodger were also doubled roles; Oliver by Christian Aldridge and Poppy Halsall while Max Poynor and Ruby Bak each played Dodger – and each in their own way, too. Three out of four of these were new to the College. As with Josh and Joe, they had to swap with each other, so they got less rehearsal time in total but it must be noted that all four (six!) performed fantastically on their respective nights. And finally, the Chorus. 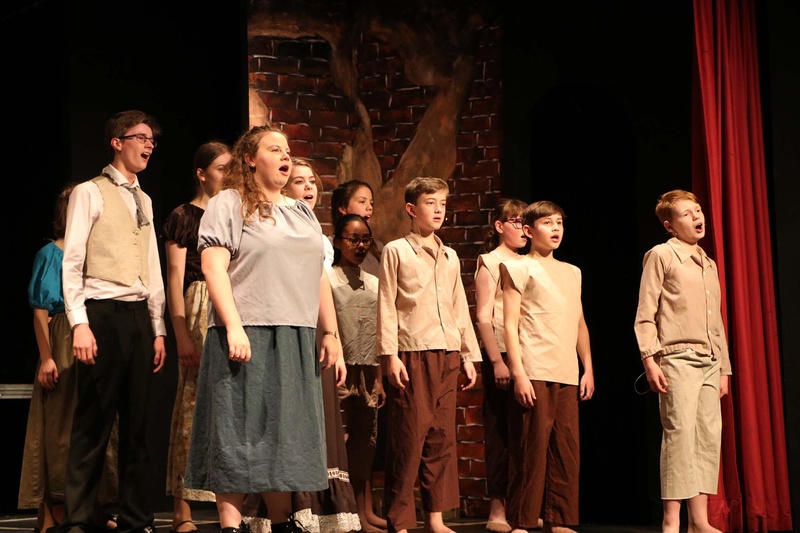 Senior Deputy Head Mr. Halsall always says ‘the chorus can make or break the play’ and he cannot be more correct than in ‘Oliver!’, with many of the big vocal numbers, including ‘Food Glorious Food’ and ‘Be Back Soon’ being performed by the younger members. Vocal solos were also allocated to many of the younger chorus members throughout these ensemble numbers. It takes a lot of courage to stand on that stage, even for the more experienced people, so starting at such a young age (for some of whom it was their first performance) it will be great to see them start to take on more principal roles in the future. The whole play could not have come together without the Senior Production Team. With two of our mentors being appointed Acting Head and Deputy Head, there were some times that some of the staff were unavailable. Having said this, thanks must be given to Mr. Halsall and Miss Grant for co-directing the play (and with the minor matter for Miss G of a wedding to organise in the middle of it all); to Mrs Tilley for patiently but imaginatively choreographing all the numbers and to Miss Phillips for training us vocally and then conducting our band. The time and effort they put in is unfathomable to us as the cast as we don’t get to see half of what goes on to make a successful production – but we do enjoy the benefits of it.